This week, our good friend Heri Simonsen talks to Maurice Ross. 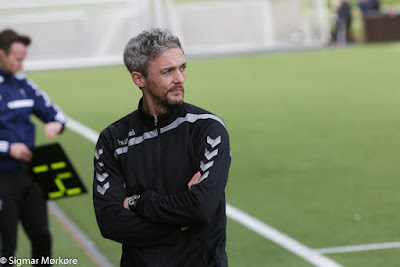 Ross is a Scottish football (soccer) manager who is coaching the united Suduroy team, which merges three clubs on the southern island. While the three teams individually haven't had much success in the upper division of Faroese football, the merged team currently sits at fourth place in the EFFO league. Then we'll hear some music from one of our favorite artists: Marius. He'll play "Shades", then we'll listen for a curious applause pattern common in the Faroe Islands. As always, you can listen on Apple Podcasts, on the media player on our page, on on Stitcher Smart Radio. You can also download the show directly here.